Landscape architect Laura Patterson walks through a parking lot in Brownsville occupied by some overgrown shrubs and an old white dump truck abandoned there years ago. She has lived in the greater Uniontown area her whole life, owns Exquisite Garden Design and has roots here, too. Her grandmother lived in West Brownsville, working in the local distillery. A few years ago, Patterson teamed with students from the area, reimagining a downtown parklet called Snowden Square. Native and naturalized plantings were installed around the stage area. “I’ve always had an interest in community design and helping people find their voice,” she says. 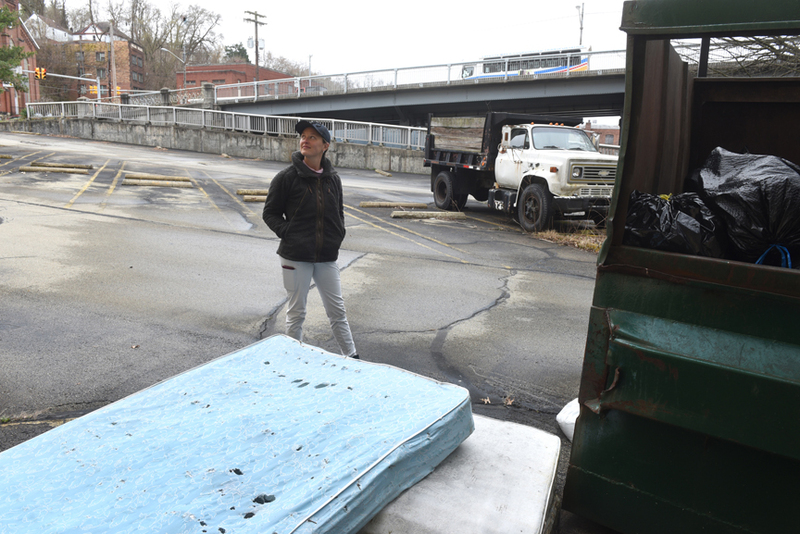 She’s worked on projects around the area in Pittsburgh with small community development organizations with one goal in mind: “to help community members find strength in one another to rebuild,” Patterson says. 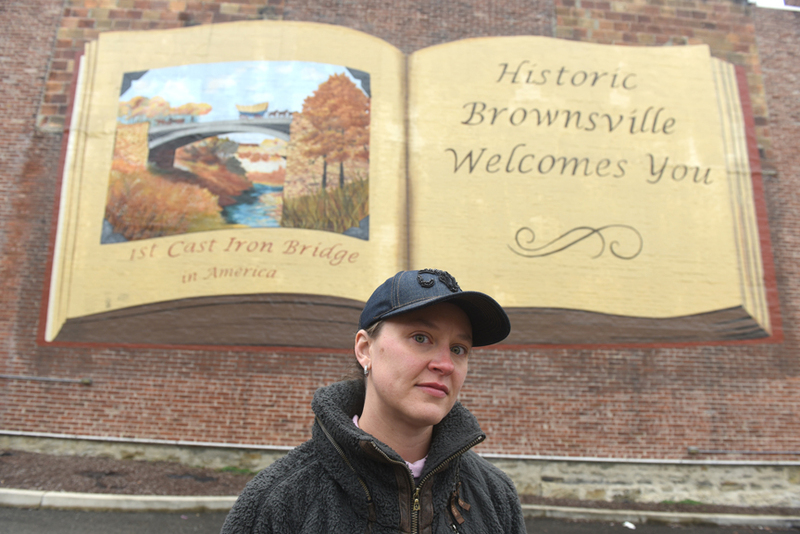 Laura Patterson is partnering with students and others in Brownsville for the Perennial Project. The Perennial Project is the vision and continuation of what was done at Snowden Square by students from Brownsville Area High School and other student groups in this borough about 40 miles south of Pittsburgh. The Fayette County Chamber of Commerce is part of the team, along with the Redevelopment Authority of the County of Fayette, Pennsylvania, many local businesses, investment groups, community leaders, the Brownsville AMVETS and others. 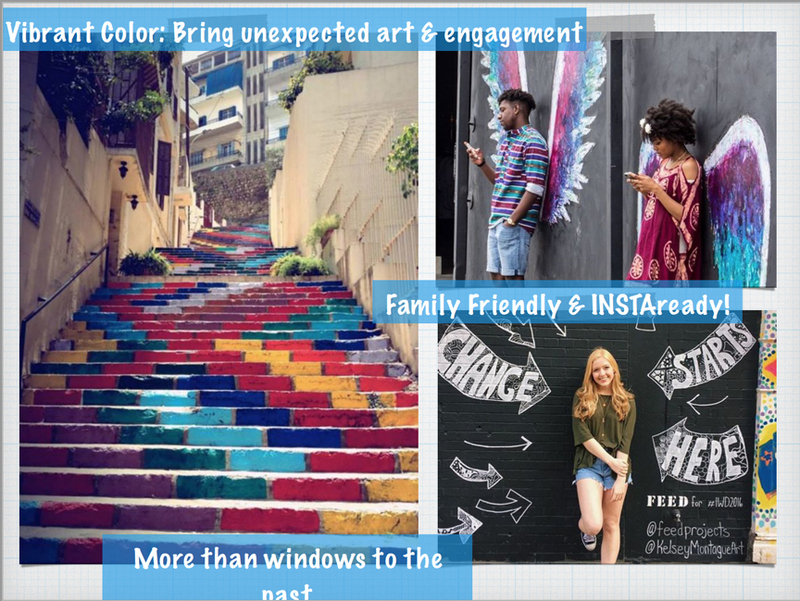 The project is about beautification, Patterson says, including cleanup, planting of annual and perennial flowers and long-term, temporary art projects. That abandoned truck will be transformed into a special work of art. The truck will be “yarn bombed,” covered in colorful yarn, and painted with removable vinyl paint, which will allow kids to be able to paint whatever they want on the truck. Across the way is a long flight of steps that also will become an art project. They will be painted in a multi-colored scheme that will resemble piano keys. Cellurale Nursery, a local garden center, is donating and discounting plants to be used for a native plant garden, pollinator garden and a Victory Garden across from the local AMVETS. There have been lots of well-meaning studies and plans to improve Brownsville with varied success. Patterson hopes this one will strike a chord with the residents. There will be a cleanup day starting at 8:30 a.m. May 8 and flower planting at the same time on May 18. Residents and volunteers are asked to meet near Snowden Square. Our friend the box turtle. Spring garden bulbs lead to garden planning.